I’ll trade you my spaghetti for some of your chicken curry at 1900 hours; deal? We live in a world that feels like it’s swirling in conflicts or emerging ones. As usual the United States as the sole military superpower is forced into the lonely role of security guarantor of last resort. If Russia were to over-run Ukraine, ISIS to over-run Iraq, Ebola to over-run any teetering West African regime, or China to make a move on Japan, the United States would likely step in, if reluctantly. 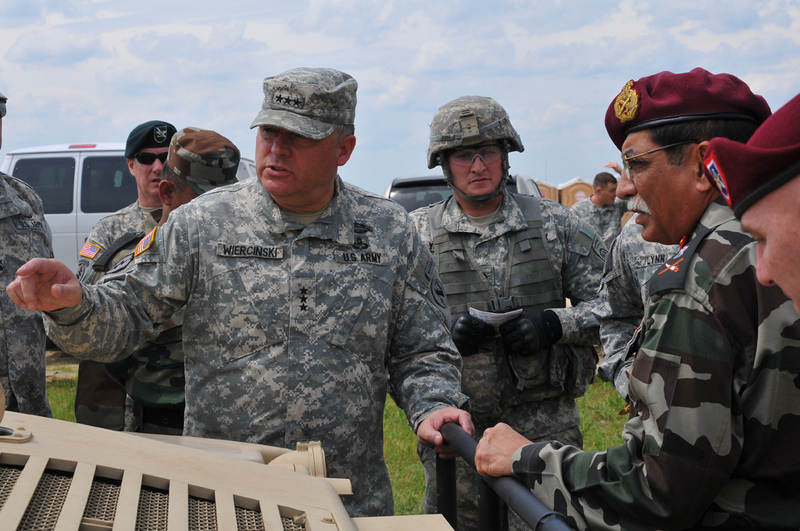 The threat of US force is still a powerful deterrent around the world. Very much to the contrary, India is quiet when it comes to global conflicts. This is not just a question of desire, but also capability. India’s military is relatively unsuited for power projection and cannot operate effectively beyond South Asia. The nation’s homeland defenses are unacceptably vulnerable themselves. Just 10 determined men from Pakistan boated right over and brought Mumbai, India’s commercial capital, to a near standstill in 2008. Not much has changed since then. China, Pakistan, Sri Lanka, and to a lesser degree Burma have formed a loose axis of military encirclement around India, and the first two countries have nuclear warheads pointing at Indian targets. Thousands of miles of India’s northern borders are disputed, and skirmishes with domestic and foreign militants are a constant fact of life, especially in Kashmir. Meanwhile, most of India’s soldiers are not battle-tested as most veterans of the Pakistan and China wars of the 20th century have retired. The future does not look better. 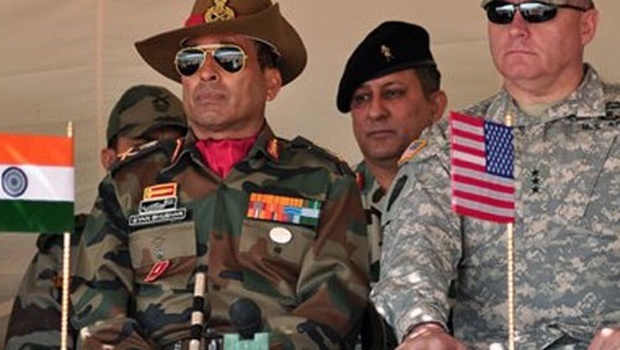 India’s bid to modernize its fighting force has been embarrassing. While China has hacked its way into unveiling a sleek new fifth-generation stealth fighter jet, the FC-31 prototype that’s lately ignited the world defense community all abuzz, India’s first fifth-gen stealth fighter probably won’t even be operational till 2021 or later. Additionally, India’s attempt to procure its only second aircraft carrier has been a comical Mickey Mouse operation, with massive budget over-runs, repeated delays, and operational flaws. The common thread is India’s dependence on Russia for much of its arms, both because they are cheaper than Western-made, and because of New Delhi’s cozy relationship with Moscow since 1947. Added to this, India does not have a robust domestic weapons industry, especially for big-ticket items like jets and carriers. Finally, India and the United States despite a lot of media hoopla lately have only minimal levels of defense cooperation, be it joint exercises or arms sales. Currently the two nations do not fight alongside one another. It does not have to be so. Increased commitment by the Americans, matched by a policy of looking Westward by India would result in India finally boasting a capable military that is at last worthy of almost 20% of the world’s humanity. After a ballyhooed trip by PM Narendra Modi to the United States this fall, breathless commentators such as these have declared that now is the time for a full US-India military alliance, including a mutual defense agreement much like the United States shares with NATO allies. Needless to say, the two nations are light years away from such an agreement, whether one agrees with the premise or not. While both countries are in dire need of closer defense cooperation with each other, it has not happened because of a lack of trust. Living in this current reality, the best one can hope for right now is therefore trust-building measures. In this endeavor, there are some opportunities to move forward. Indian leaders in politics and business talk of India rising to be a world power, none more than Narendra Modi himself. But talk is cheap. And action comes at a price, which Indians must be willing to start paying unless they want their nation to remain on the sidelines in the game of world affairs, where power still matters. How and why would these trust-building measures come about? ISIS and the Asia Pivot. America’s two foreign policy priorities at the moment are dealing with the ISIS infection, and trying to look East to Asia. The former affects the latter as militarily and diplomatically, the United States is consumed by ISIS to the point where leaders cannot focus on Asia as much as they want. India can help. ISIS is a problem for India too. Apparently Indian cadres are joining the ranks of jihadis in Syria and Iraq. Some of them no doubt came from Kashmir or would turn up there later, if not other parts of India. If India wanted to step up to the plate, there could not be a better cause or time than helping deal with one of the most vexing terrorist phenomena to ever exist. India should join the coalition with, at minimum, air power, sea power, intelligence resources, and advisers on the ground. India could serve the dual purpose of helping defeat an international criminal evil while battle-hardening some of its troops. There is no better show of faith that India can give the rest of the world militarily at this time. It is more about that than being a game-changer, which India is not. Buy American, and Joint Development. Recently, India chose the Israeli Spike anti-tank missile over the American Javelin in a closely-fought battle. This was despite an offer from US Defense Secretary Chuck Hagel on a recent visit to New Delhi to co-develop the weapons system with India, which would have been a first for the two nations. While the Javelin fell short on this particular contract, there are many other potential deals out there. India should take up the US offer to jointly develop weapons. American weaponry is often the best, even if more expensive. However, India can now afford it- with a defense budget around $40 billion- and can’t afford not to have the best. Washington for its part should cut deals, offering arms at a discount or with favorable loan terms- recognizing the mutual strategic interest of these sales. Bring Putin Back from the Edge. Now, regarding that aforementioned cozy relationship with Moscow. Russia’s belligerence of late certainly does not behoove India. In fact, China is already outspending Russia on its military budget each year, and there is no question that China is keeping tabs on Russian acts of aggression and may be drawn into spending even more- thereby widening the gap with India further. India should use its good offices with Moscow to pull Russia back. I don’t think Western sanctions are doing it, and Putin probably won’t listen to anyone else more than he would to Modi. If successful, this would be India’s biggest coup on the world stage in decades. It would do much for nervous markets and economies globally. It could also prove Indian statesmen’s chops even if they do not want to pursue military adventures. Draw Lines with Pakistan. Some readers may already be feeling that all of the trust-building pressure falls on India. Not so. The United States has a very important role to play, and it involves Pakistan. Perhaps the main reason why India does not trust the United States on security matters relates to the billions of dollars of military aid donated to Pakistan earmarked for defeating terrorism, some part of which has been redirected toward beefing up resources to counter India. On top of this, Indians suspect that intelligence sharing, arms sales, and other cooperation between Pakistan and the United States have harmed Indian interests. This can be resolved by the United States making Pakistan strictly accountable for assistance it receives, or removing that assistance. As the Afghanistan war winds down, the US-Pakistan relationship will naturally have less importance anyway, barring unforeseen circumstances. On the other hand, India must accept that there is a US-Pakistan friendship, and probably will be for the foreseeable future. These are just some of the confidence-building measures that the United States and India can engage in to woo the other in the current environment, where tentative steps are much more likely than grand bargains or deals. However, these steps however small are badly needed. And the US-China climate change agreement from this month dramatically proves that cooperation is possible. Any of these small steps could pave the way for others that are more robust: increased cooperation in counter-terrorism and intelligence, cyberwarfare, joint patrols of the seas, and of course, the one that every analyst talks about ad nauseam: containing China. The United States will be unable to accomplish this successfully without incorporating India in the long run. It’s just a matter of time, so we may as well get on with it. But it’s not just China. The United States cannot tackle the world’s problems alone. India also cannot continue its posture of sitting idly by, especially in conflicts with very clear moral imperatives. If India wants to be a player, it needs to act like one. The Cold War is over, and it had a winner. It is time India picked a side. 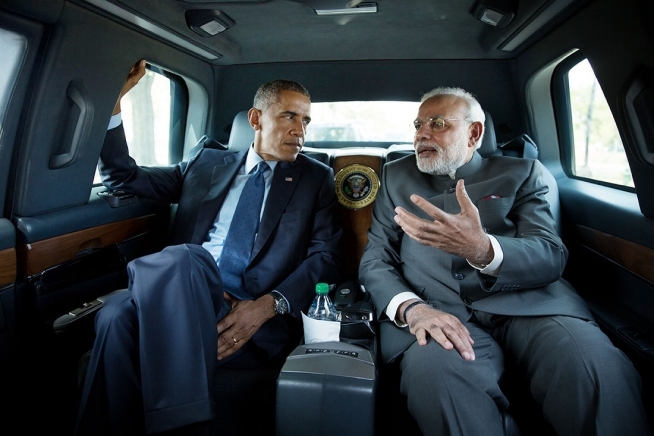 Posted on November 20, 2014, in Security and tagged Modi, Obama, US-India, US-India Relations. Bookmark the permalink. Leave a comment.